Bonner and Associates (ahem, Hawthorne Group, ahem, ACCCE) couldn't find enough real people to oppose clean energy and green jobs legislation. In fact, the management wouldn't take that 'no' for an answer, and pushed their employees to commit outright mail fraud instead. So today, we decided to help the coal industry out a little bit by showing them that made-up people and creatures can have a say in politics! 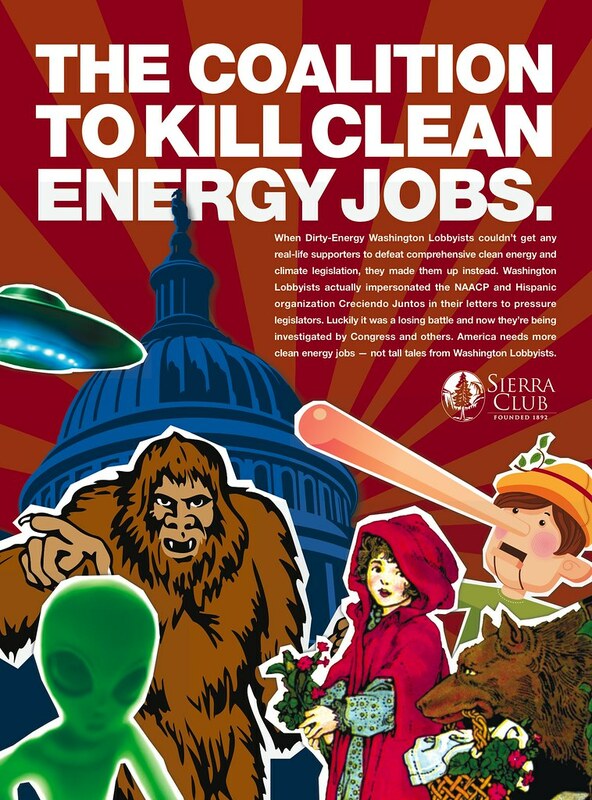 We dressed up as aliens, a wizard, and Little Red Riding Hood and passed out the Sierra Club's hill add to hill staffers getting out of the subway. "Hey, help us kill green jobs!" Its a testament to hill staffers that at least some of them replied, "No, I like green jobs." Apparently irony isn't the best tactic at 9am. But making up the names of people who oppose climate change legislation? Never a good tactic.